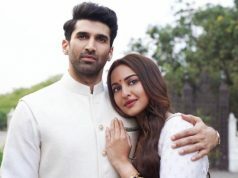 More than half a month back released Luka Chuppi has started its third week at a steady note after the two successful weeks. Due to the absence of any major release this weekend, Laxman Utekar’s directorial is still enjoying a good run in north India despite having last week’s Badla & Captain Marvel in the opposite. 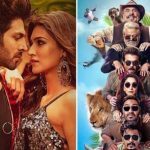 Starring Kartik Aaryan & Kriti Sanon for the first time together, the funfilled romantic comedy has got succeed to hit the right buzz among the audience. 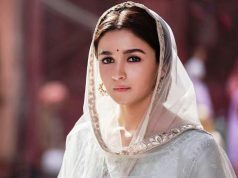 As a result, it remained strong throughout and did the business of 53.70 crores in the first week & 21.54 crores in the second. Now, Luka Chuppi is running in the third weekend and still has enough hold over the audience. On 3rd Friday, after a minimal drop, it managed to collect 1.62 crores. While on the next day i.e. 2nd Saturday, the film minted 2.25 crores and raised 16 days total collection to 79.11 crores nett at the domestic box office. On the other hand, the third film of Dhamaal franchise, Total Dhamaal has slowed down at the box office but still heading steadily. 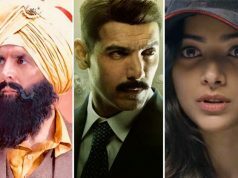 Despite mixed reactions, it remained strong throughout and did the business of 94.55 crores in the first, 38.05 crores in the second & 13.66 crores in the third week. Directed by Indra Kumar, the adventure comedy is now running in the fourth weekend and managed to collect the amount of 0.95 crores on 4th Friday. On the next day i.e. 4th Saturday, Total Dhamaal recorded a decent jump and minted 1.60 crores. After 23 days, its total domestic collection has become 148.26 crores nett.